Since launching in 2006, Google Translate has grown to over 500 million users worldwide, translating more than 100 billion words daily. In 2016, the tool supported 103 languages, with 92% of its users residing outside of the United States. While the tech giant sits comfortably atop the growing list of translator apps, there’s one longstanding giant in the shadows, actively innovating and developing the blueprint for how companies like Google define the future of global communications. 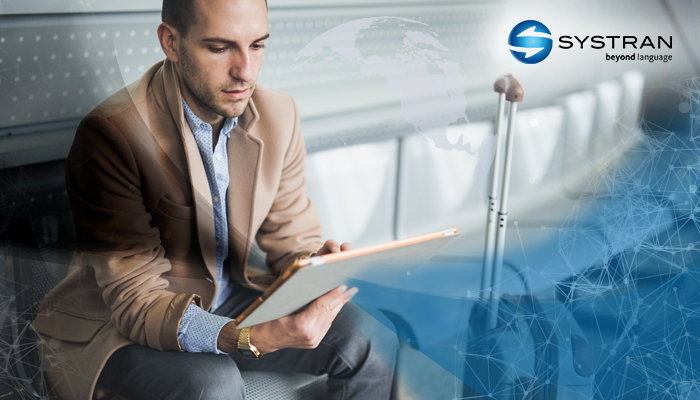 Founded in 1968, SYSTRAN stands as the leading provider of language translation software products, delivering real-time language solutions compatible for desktop, mobile, and web-based platforms. 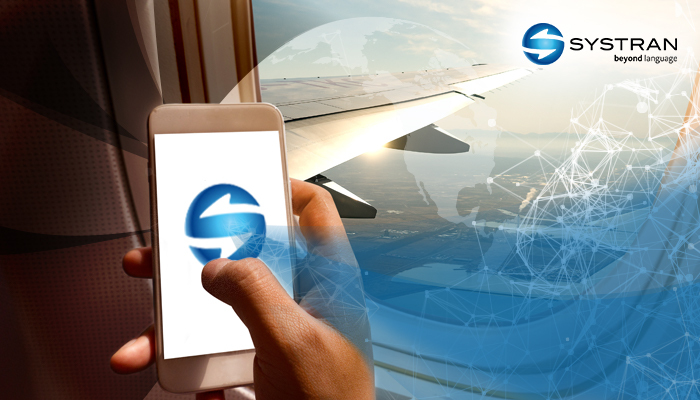 Credited as a pioneer in machine translation for over four decades, SYSTRAN remains committed to advancing multilingual communications around the world, removing language barriers between people and businesses to make forging meaningful connections seamless. 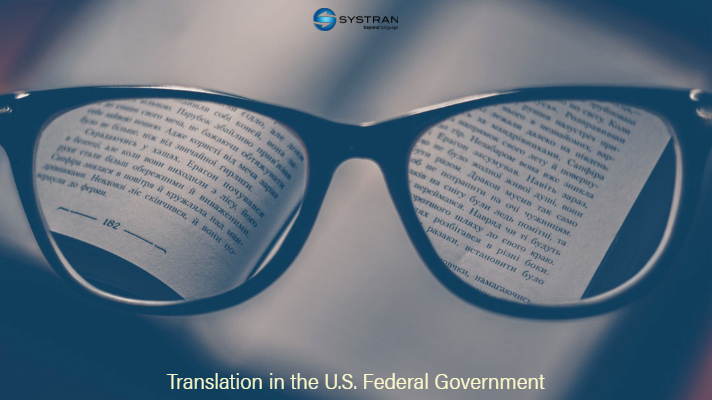 SYSTRAN’s software facilitates communication in 140 language pairs, across 20 vertical domains, making them the most sought-after translation software provider amongst top-tier global companies and public agencies. Their translation software improves relevant searches, content management, customer support, B2B communications, and plays a pivotal role in scaling global e-commerce companies. The tech company has developed a proprietary software product called Pure Neural Machine Translation (PNMT), which is an independently developed variation of a technology called Neural Machine Translation. Instead of translating one word at a time, the technology reads full sentences to determine the meaning and assure each translation is properly contextualized. Pure Neural Machine Translation has proven to be more effective than translation software and services used on Facebook or Google Translate. Equipped with a trained and experienced team of engineers and linguists, SYSTRAN not only expects to compete, but looks to ultimately surpass power players like Google in the race to design a truly connected world without language divides. I spoke with SYSTRAN CEO Denis Gachot about the vision behind his company, eliminating language barriers, and his plans for transforming how people and businesses communicate. What was the specific void or opportunity that inspired the idea behind SYSTRAN’s PNMT? Denis Gachot: In 1968, the United States Air Force called us to translate Russian to English during the Cold War. The stakes had never been higher; precision, security and speed were required to translate a high volume of data quickly. The only difference today is that we’re not just helping the intelligence community. Large corporations are in a battle, and have global teams that need to get languages right and uphold tight security.Thus, the void we needed to solve for was quality. Pure Neural Machine Translation (PNMT) has brought us translation quality that raised the standard, and is now measured by how well it sounds like a native speaker; a remarkable attribute for a machine to be judged on. PNMT is furthering the opportunity to allow people from anywhere in the world to be able to connect with anyone and understand anything. Denis Gachot: One challenge is that most people are unaware of how they can apply machine translation to their business. Imagine an auto manufacturer who would like translate 200,000 pages of product manuals for communication amongst teams in Germany, Columbia and Japan, using email and instant messaging. They would have two translation engines: One that is optimized for the manuals, and another that is optimized for colloquialism (casual speak and slang). Custom translation engines are created with domain specific dictionaries, customized vocabulary, and preferences. For example, if you have a manufacturing profile, the word ‘PIN’ is defined as a metal object. However, if you have a banking profile, the word ‘PIN’ is defined as a password. Further, you can customize vocabulary based on your company’s nomenclature. You can save settings such as ‘never translate your brand’s name’. Also, anything that’s been edited can be saved in the profile to optimize future translations. Can you provide an example of a company that uses this form of machine translation and how it has benefited them? Denis Gachot: Adobe, a company with over 100 products, is an example of how to leverage machine translation. They have detailed support FAQs and product education documents in dozens of languages. If they didn’t, phone lines would start to light up with customer service requests in Russian, Hebrew, Japanese, Chinese, and Spanish, because users can’t find support in their language. The applications are nearly limitless: translating patents from Chinese to English, helping law firms find evidence in hundreds of thousands of files in different languages, and translating scientific research, just to name a few. Your company was founded in the 1960’s — How has both the language translation technology and the market for this technology evolved over the past several decades? Denis Gachot: Language technology has advanced in line with technology and culture in general. In 1960, the average person spoke to five people a day. Today, you have over 2,000 friends and colleagues anywhere on Earth that can instantly message each other. 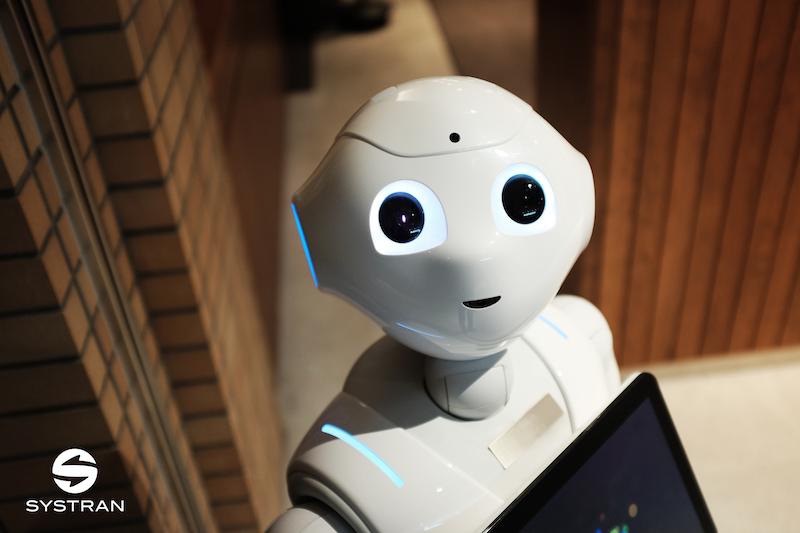 We’re seeing our customers apply neural machine translation and big data to evolve everything: sales, e-learning, publishing, customer service, email, eDiscovery, compliance, big data manipulation, and mobile apps. Needs have evolved to fluency. With fluency, we now judge the translations based on how well the message captured the meaning, and how much it sounded like a native speaker; that’s phenomenal. What goes into the process of developing translation technology and what other aspects of human communication or behavior must be studied in the process? Denis Gachot: Technically speaking, it’s artificial intelligence. Like the human brain, the neural machine translator learns through a process in which the machine receives a series of stimuli over several weeks. Over the course of those few weeks, the process mimics ‘deep learning.’ Think of ‘if, then’ statements — that’s considered ‘shallow learning.’ Deep learning is multiple ‘if, then’ statements stacked. Our technology runs complex algorithms that keep the engine learning, generalizing the rules of a language from a given translated text, and producing a translation that is eerily close to one done by an actual human. The linguistic expertise (the understanding of language), is a more unique set of knowledge than the software coding, and our machines have been undergoing that process of learning for over 49 years. 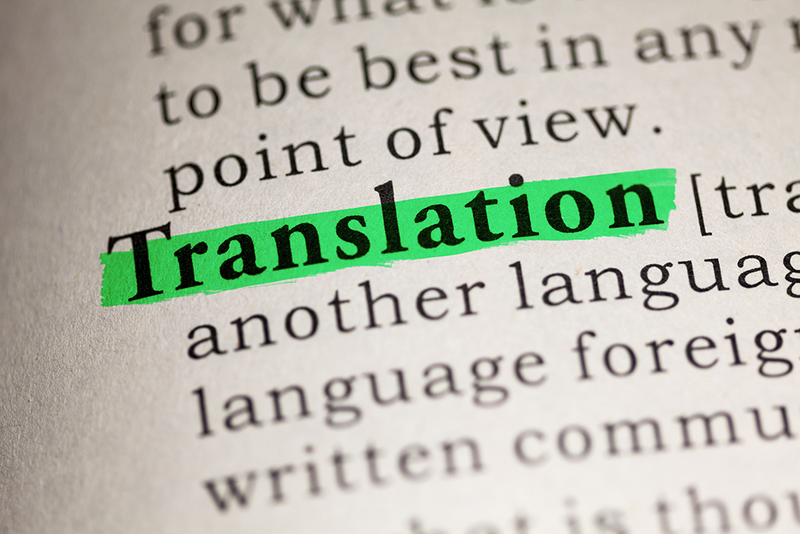 We’ve amassed such a knowledge base that most users think the translation is done by a human. The reason it is so good is because of the underlying study of how a human being uses language. How do you see a company like SYSTRAN shaping how people from all parts of the world build connections with each other? Denis Gachot: If two people can’t speak the same language, there is no connection. Dale Carnegie once said, ‘to understand someone is to repeat back to them what they said better than they originally described it.’ When you confide in your best friend, you do it because you feel heard. It transforms businesses, personal relationships, and even random encounters with strangers. In the future, we’d love to release devices that you can talk into and they translate instantly. Imagine having something as small as a lapel pin that gave you the ability to understand what is being said and respond in any language, this is the future that SYSTRAN will be a part of, and hopefully, in the process help enrich all our lives. Communication fosters connection. 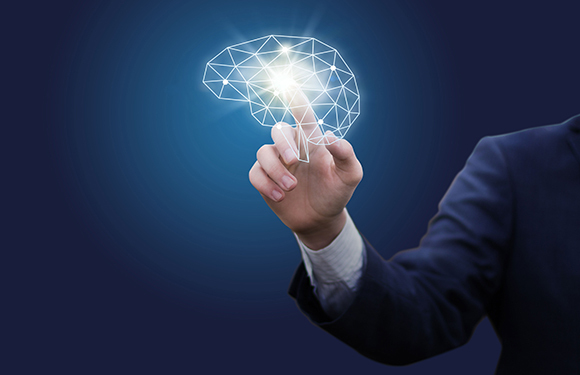 Neural Machine Translation fosters connection through sophisticated algorithms that not only translate, but provide fluency so people are understood. While America is multicultural, people live in somewhat of a westernized bubble — How does a company like SYSTRAN help connect these international communities and enrich culture in nations like the U.S.? Denis Gachot: To understand and gain command of a new language is to know how a different set of humans and cultures view life. Take the expression of love, time, and death. In America, the word ‘love’ is used abundantly. I ‘love’ these shoes, this house, this drink and so forth. In most other cultures, that word is held for special times with loved ones. This is the foundation of connecting. At a practical level, the difference between the U.S. and the Continents is that our country’s language is the global language, so most Americans don’t know another language or haven’t gotten to know another culture. How many people do you know that have studied a foreign language in college but forgot it all because they didn’t’ use it. Now, imagine being able to send an email in French, an instant message in Korean, and co-create a PowerPoint Presentation in Spanish? Language is like mixing primary colors to make new colors. In Miami, for example, they speak Spanglish. There is a subset of rules about when to use English and Spanish in the same conversation. It’s beautiful. How do you see SYSTRAN evolving over the next 3-5 years and where do you see your company fitting in the future of where this technology is heading? Denis Gachot: Most, if not all industry leaders will continue to deploy artificial intelligence in some way. We are a part of that revolution. I am at liberty to tell you that we’re already embedded in many of the leading companies’ internal applications, hardware, and proprietary communication tools. The spoken word is the next frontier, as people move away from communicating with electronic devices in their hands — typing, swiping, tapping — and use their voices instead. Everyday functions like typing will be replaced by dictation, and even human-machine conversation. We already talk with smart home assistants that turn on other devices, answer our questions, and send us alerts. Language translation is a key component of the future of technology. This article was originally published on Forbes This Translation Tool Is Helping Global Brands Break Language Barriers.